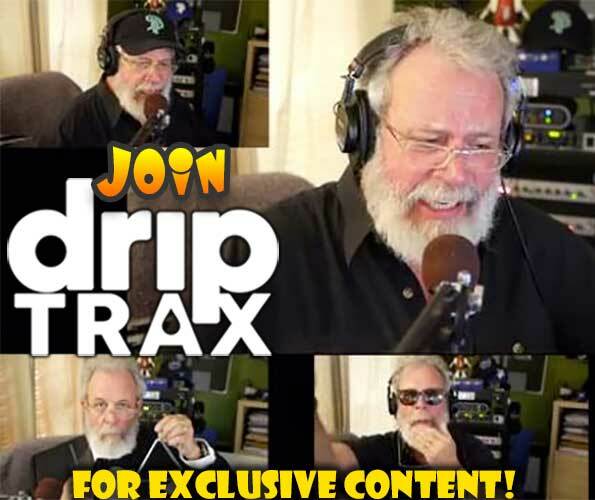 Sign up now for the RiffTrax Affiliate Program and you can start earning money! As an affiliate, you'll direct customers to RiffTrax through banner ads or text links on your site. When the customer clicks from your site to RiffTrax, you'll receive 20% of the sale on everything they buy for the next thirty days. Got a website that's cool, fun and frequented by movie lovers, tech geeks, comic book fans, literati, weird guys, sci-fi nuts, gamers, etc.? You're invited to join! Click the button above to apply - it's FREE! Sign up now and start earning! 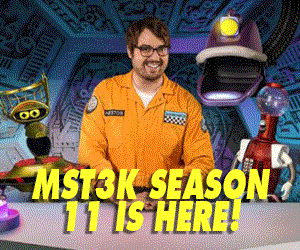 At RiffTrax.com you can download feature-length commentaries by Mike and the other stars of MST3K, as well as celebrity guests, then listen to these "RiffTrax" in sync with your favorite movies and TV shows. It's like watching them with your funniest friends (who won't clean out your fridge, by the way). And it's super easy to do! Just play the DVD and RiffTrax MP3 together and Inception, Harry Potter, Twilight, Iron Man, Star Wars, Lord of the Rings, and Transformers just got way funnier! Q: Who can participate and how much does it cost? A: Anyone with a cool, fun site frequented by movie lovers, tech geeks, comic book fans, literati, weird guys, scif-fi nuts, gamers, etc. is encouraged to become a RiffTrax Affiliate! Joining is ABSOLUTELY FREE! A: If you earn commissions, you will be paid monthly. Q: Should I use banners or text links, and where should I place them? A: We recommend using both banners and text links. The more links you have, the better. Our best performing banners are 300x250 and 120x600, and are title specific. As far as placement, your home page is a great place to start, but we recommend not just sticking to that; you’re more likely to achieve successful results and earn big commissions if you place the banners on several pages. We have a great selection of banner titles and sizes to choose from. Q: Where do I get links to put on my site? Can I use my own links? A: RiffTrax provides you with all the links and images to be used on your site. They can be accessed through your LinkShare account once you have been admitted into our affiliate program. 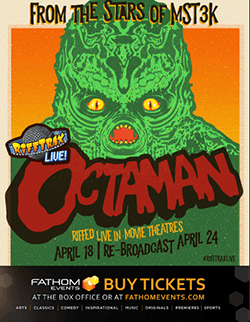 You will be able to choose from a large selection of RiffTrax title-specific banners, generic banners, and text links. We do not authorize the creation and use of your own links and images to promote our site. Q. I don’t live in the U.S. Can I be an affiliate? A: Absolutely. RiffTrax fans can be found the world over. We welcome people from all over the globe (and beyond) to apply! Q: How does RiffTrax keep track of how much commission I have earned? A: Our third-party provider—LinkShare—tracks each banner or text link using an identification code that is unique to your site, and is responsible for tracking and reporting all activity from your site to ours. This robust tracking technology ensures you receive accurate and prompt commissions. Q: Whom do I contact if I need assistance with my account? A: For questions concerning your affiliate account (including technical difficulties), please contact LinkShare by clicking 'Contact' at the bottom of the LinkShare homepage. For questions about the RiffTrax affiliate program, please contact affiliates@rifftrax.com. We encourage all interested sites to apply to our program. However, before you can participate in our program, we will need to approve your site. We will be accepting qualified applicants.